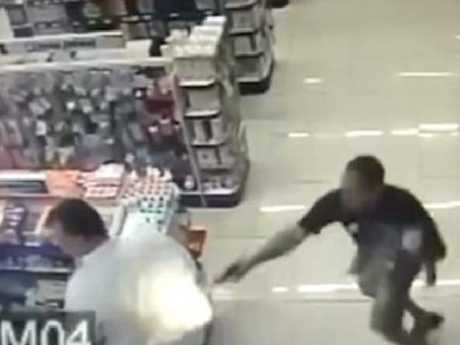 THIS is the moment an off-duty military police officer shoots and kills two robbery suspects at a Brazil pharmacy - all while clutching his baby boy under his arm. 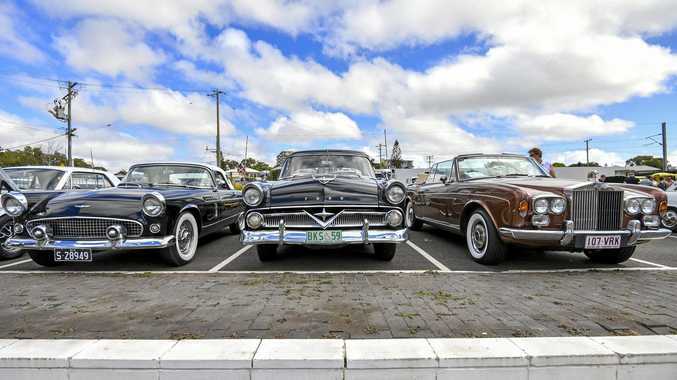 The New York Post reports, the dramatic scene unfolded Saturday afternoon, local time, when Sgt. Rafael Souza was inside the pharmacy in the city of Campo Limpo Paulista, São Paulo, with his wife and son. As the clerk tended to Souza's wife, the two gun-wielding robbers barged in and announced the robbery, Brazilian radio station Portal Ligação News reported. One of the suspects, Jefferson Alves, 24, pointed his gun at Souza, who identified himself as a cop, according to the report. Then Souza, who was holding his son with one arm, used his other hand to pull out his gun and shoot Alves in retaliation, according to the report. He then turned his attention to the second suspect, Italo Creato, 22. 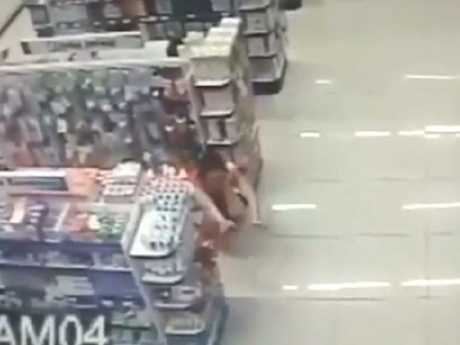 The incredible incident was caught on the shop's CCTV. In the vision Souza can be seen firing at one of the suspects, who is out of frame, around a man in a white shirt. 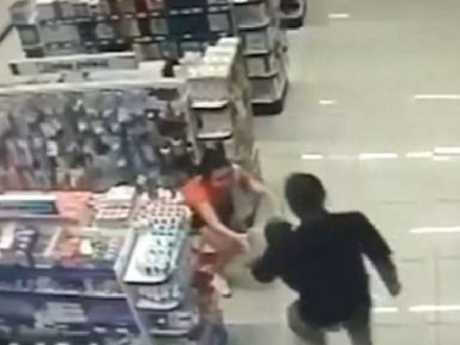 Before the video cuts out, Souza is shown handing the tot over to his wife, who was cowering between the shelves. This article first appeared in the New York Post and is republished here with permission.